The growing trend for people relocating away from Sydney will continue to shift housing demand to other parts of Australia. And, the opportunities for property investors extend much further than capital cities. Over the last 6 years, a combined 107,737 people have relocated away from Greater-Sydney to an interstate location – that’s as many as the entire resident population of Australia’s 20th largest city, Bendigo (founded 180 years ago). The Australian Bureau of Statistics has just released state-by-state population figures for the quarter ending December 2016. National population grew by 372,800 (1.55 per cent) last year, the highest since 2013. Overseas migration (183,621) accounted for 49 per cent of total growth. Across the 8 states and territories, Victoria was the strongest (146,628 or 39 per cent of Australia), followed by New South Wales (116,382), and Queensland (70,442). The data highlights that it’s Victoria first and daylight second. Victoria’s 2.4 per cent growth rate is streaks ahead of second placed, ACT (1.7 per cent), NSW (1.52 per cent), and QLD (1.46 per cent). Tasmania’s population growth has defied many less informed critics and increased from a meagre 0.1 per cent growth in 2012 to a respectable 0.58 per cent in 2016, putting it ahead of Northern Territory and in the same league as Western Australia and South Australia. The outlook for Hobart’s property market continues to be exciting. In a historical sense across the last decade, the biggest downturn trend is in Western Australia which has seen population growth slip from 3.6 per cent in 2012 (then the best in Australia) to a mere 0.66 per cent in 2016. 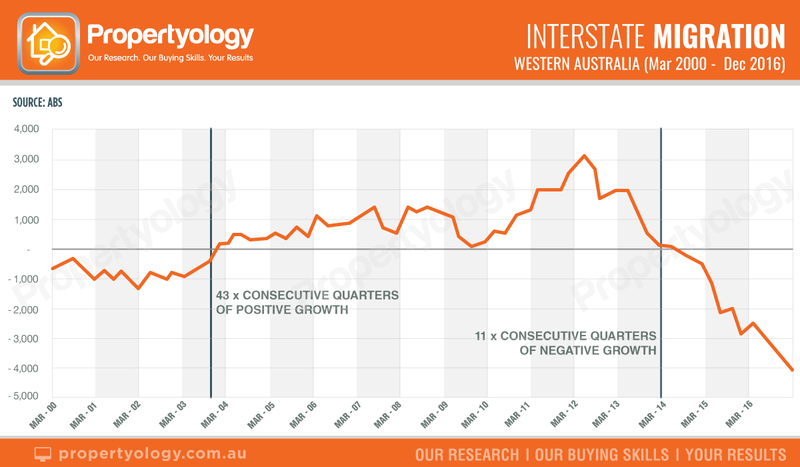 After 43 consecutive quarters of positive interstate migration, Western Australia has now seen 11 consecutive quarters of declining interstate migration. The December 2016 quarter decline of 3,665 is its worst on record. The cliff being created is deeper than the Grand Canyon. Northern Territory has also experienced continual population growth rate decline from its peak of 2.9 per cent growth in 2008 to 0.26 per cent in 2016. Queensland’s population growth rate peaked at 2.6 per cent in 2009 while the 1.46 per cent growth in 2016 was similar to the last 3 years. 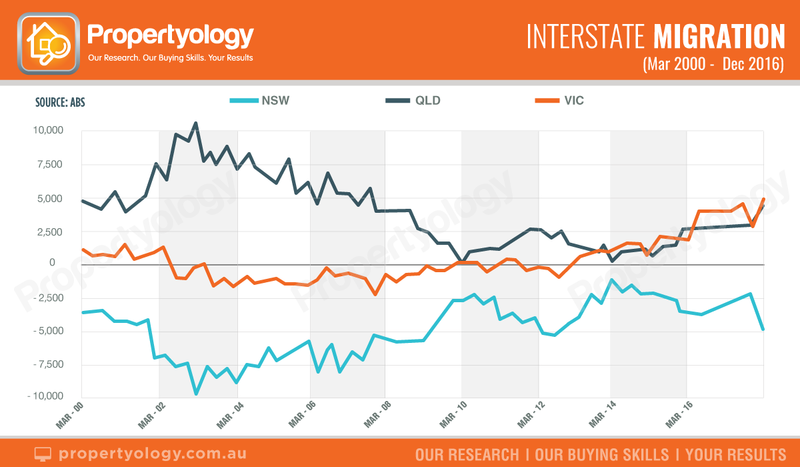 Interstate migration data often contains some interesting trends for property investors (generally a lagging indicator of employment trends) and the latest data didn’t disappoint. Victoria was the biggest beneficiary of interstate migration last year (17,987 net people relocated to Victoria - an all-time record). 12,822 people relocated away from New South Wales in 2016, including 4,112 in the December quarter (the highest since June 2012). Further analysis of the data confirmed an exodus from Sydney with 20,532 people migrating away in 2016. It now seems official that we’re in the midst of a cycle whereby Sydney’s housing affordability challenges are (again) shifting demand to other parts of the country; a trend which Propertyology anticipates will grow deeper in coming years. Conversely, Queensland has now experienced 5 consecutive quarters with positive interstate migration of more than 3,000 people (14,652 migrated to QLD in 2016). The 4,844 interstate migrants in the December quarter was Queensland’s highest since December 2007. With better quality infrastructure and employment opportunities than many city folk appreciate, parts of regional Australia are attracting significant interstate migration. In New South Wales, MaitlandMaitland, SA Maitland, NSW (1,083), Shoalhaven (1,425), and Tweed (1,546) are the biggest beneficiaries. In Victoria, Bendigo (1,257) and Geelong (3,187) produced some impressive numbers. SunshineSunshine, NSW Sunshine, VIC Coast (6,200) and Gold Coast (6,247) attracted nation-leading interstate migration. Busselton (898) backed the trend in Western Australia. 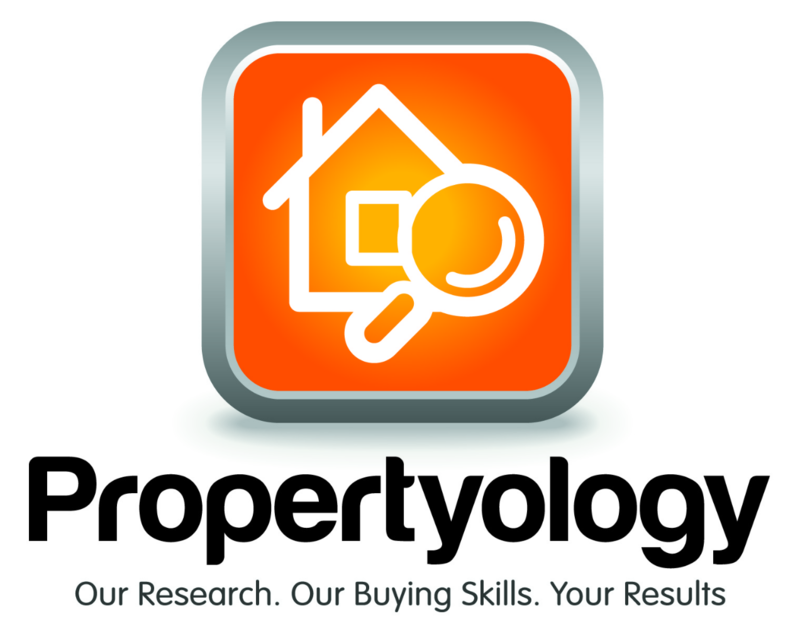 Propertyology is a national property market researcher, award-winning buyer’s agency, Telstra Business Award finalist. Simon Pressley is also a REIA Hall Of Fame Inductee and a three-time winner of the REIA and REIQ Buyers Agent of the Year award.